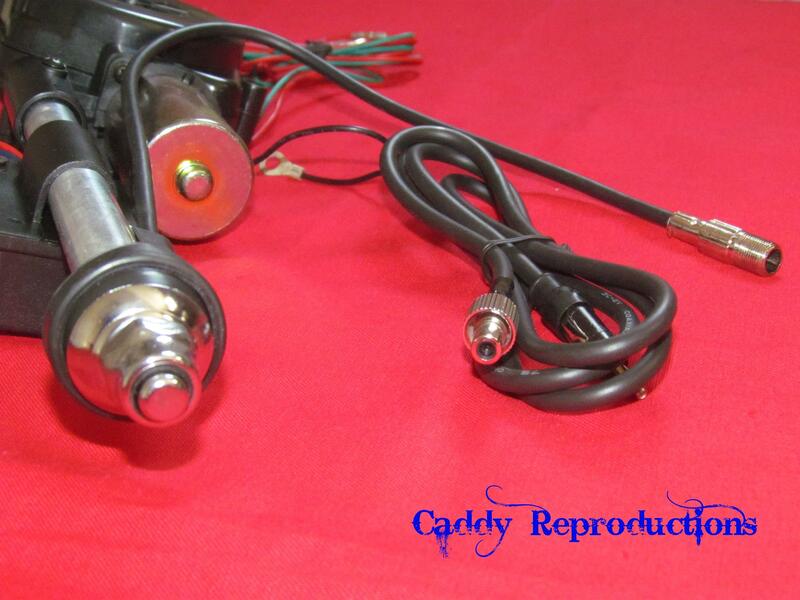 Here is a 12 Volt Fully Automatic Electric Replacement Antenna for your 1940 - 1966 Cadillac. 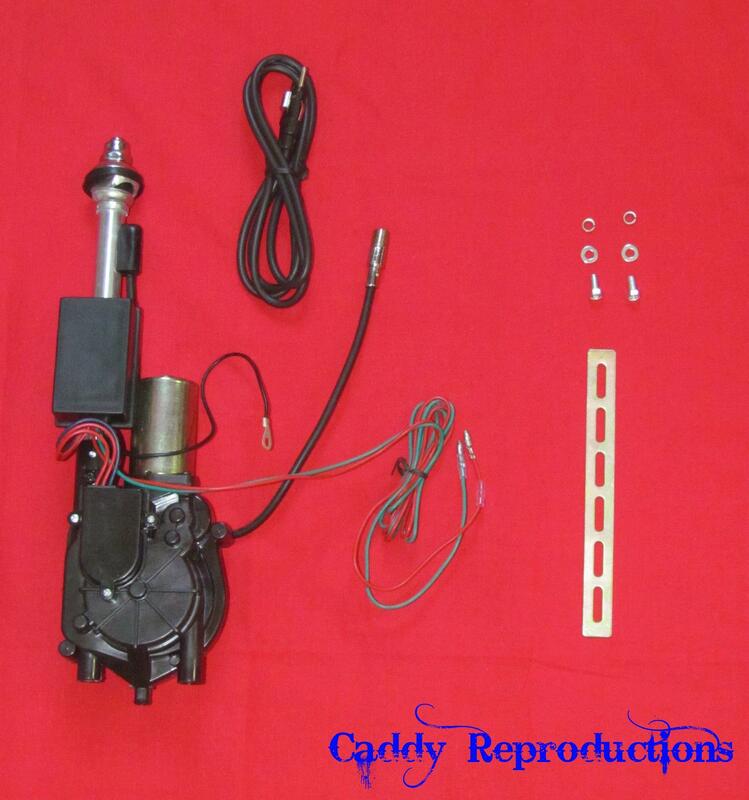 Comes with Instructions & hardware as seen in the pictures. 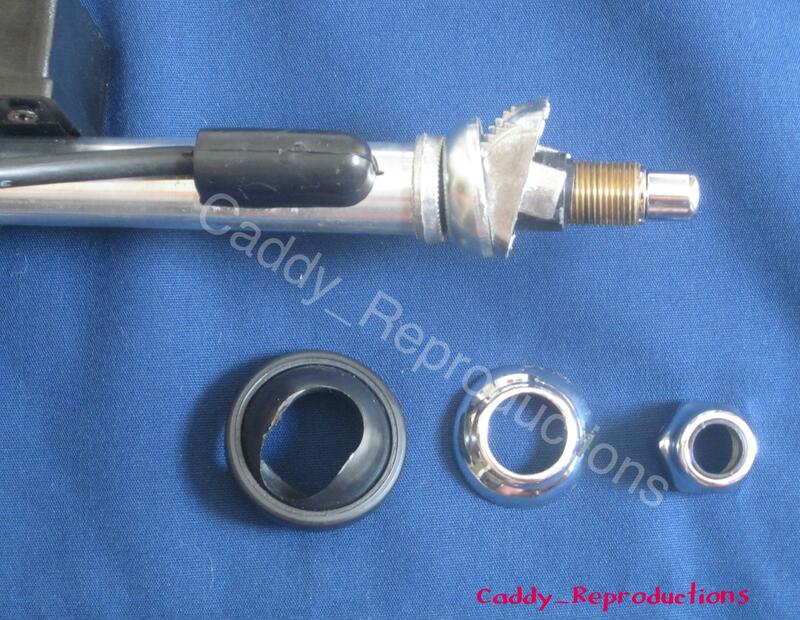 *This is a universal part & May Require some modification, depending on your specific year. 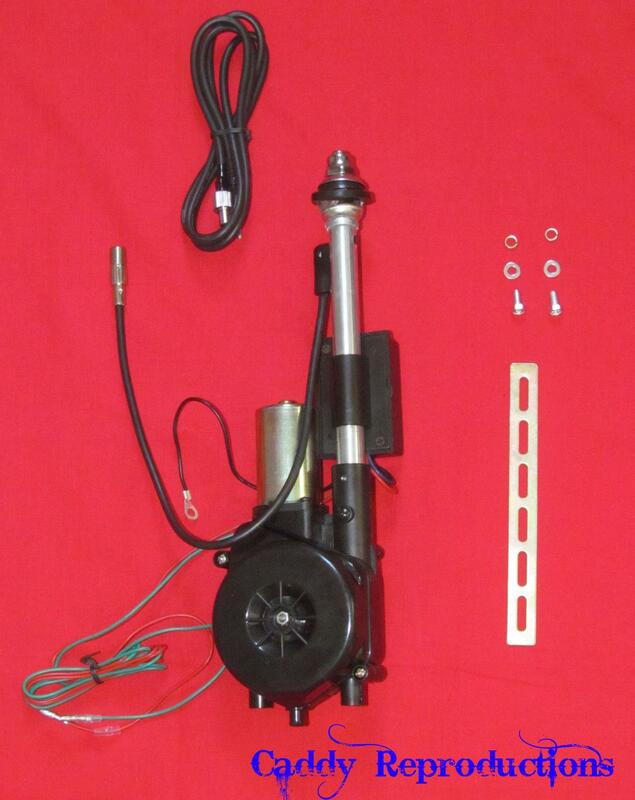 * This is a great replacement for your 1956 - 1966 OR if you are removing or adding another radio separately to your 1946 - 1955 vacuum antenna.